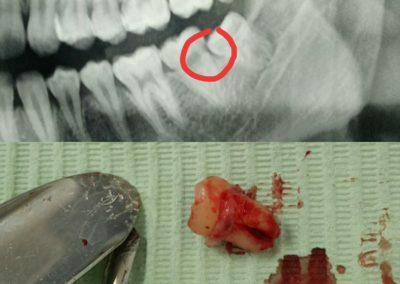 It is a procedure wherein the dentist remove the tooth by separating and opening the gums, sometimes there is the necessity to remove bone around the tooth. 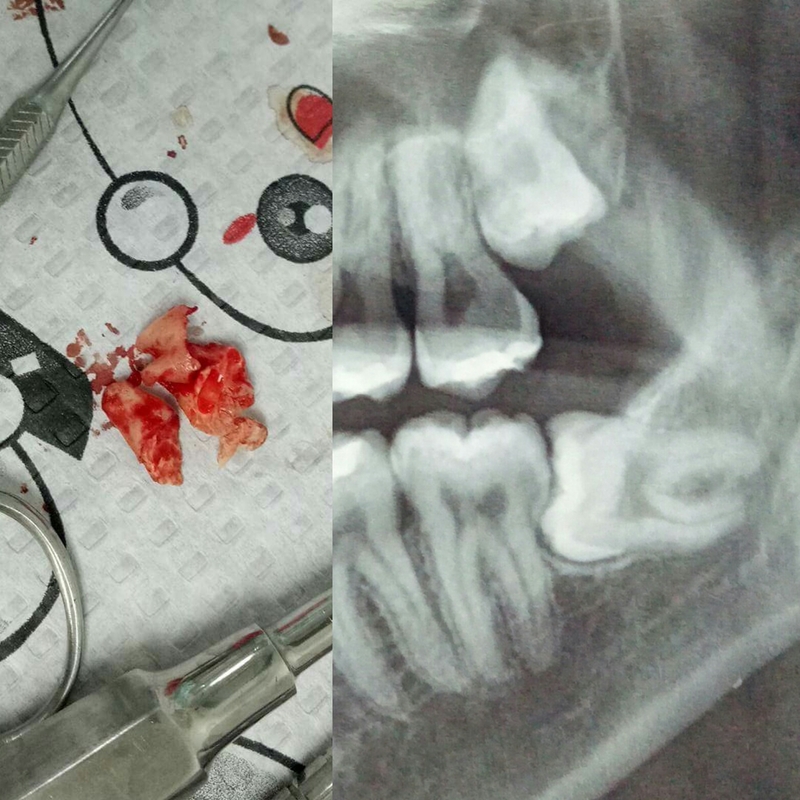 This is specially common to the third molar teeth due to the fact that most of the third molars are impacted(embedded under the jaw line). 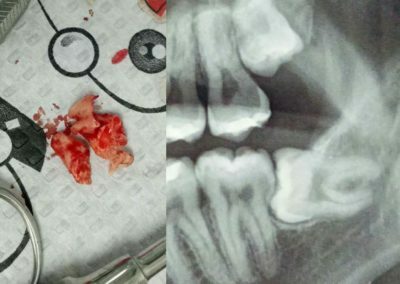 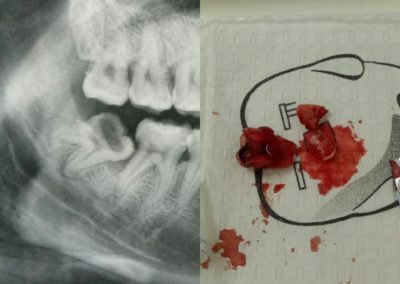 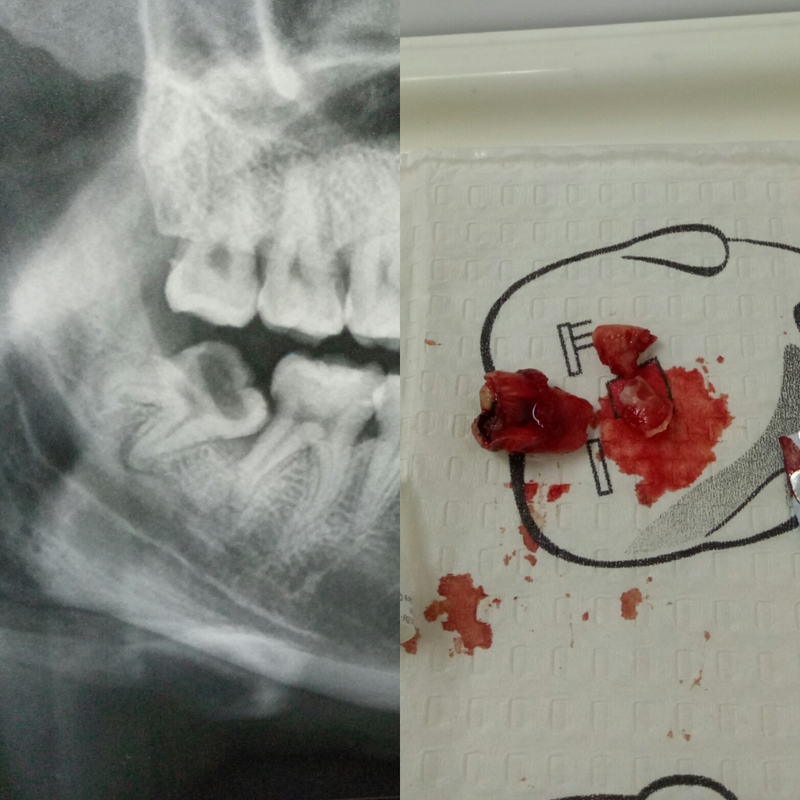 Odontectomy is the extraction of an embedded tooth and consists in the removal of the bone surrounding the tooth before applying the necessary force for the extraction. 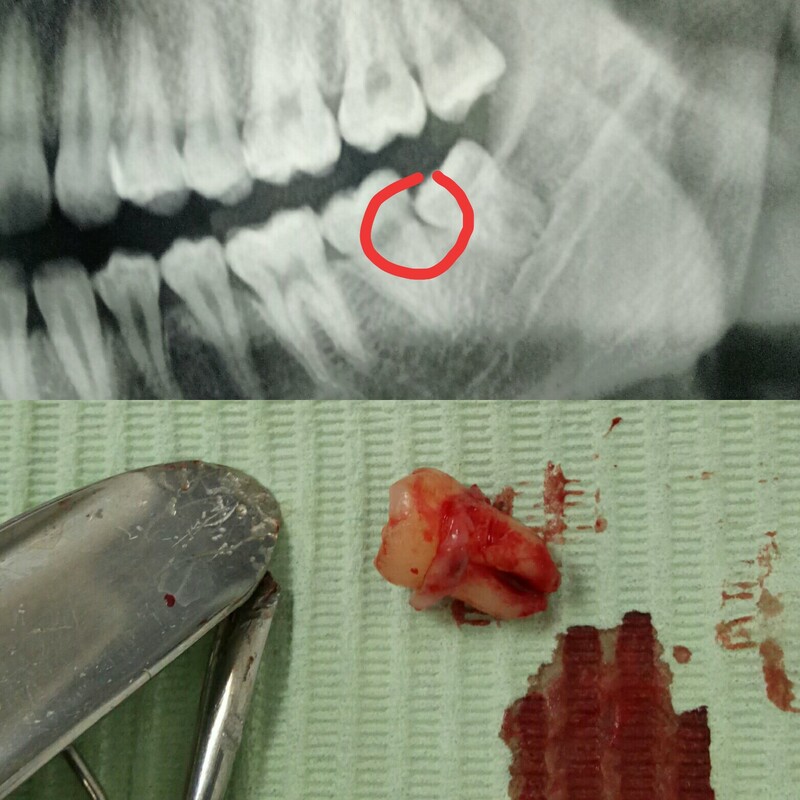 Basically, odontectomy represents the surgical extraction of the tooth which is totally or partially included in the bone. 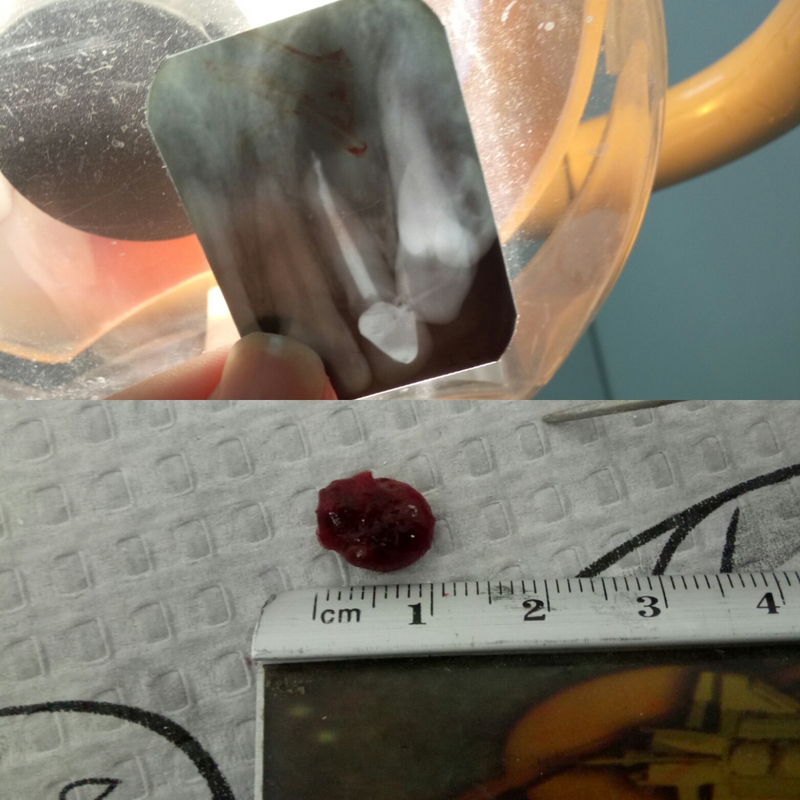 After the odontectomy, the suture and the removal of the sutures after 7 days are necessary in case they are non-absorbant. 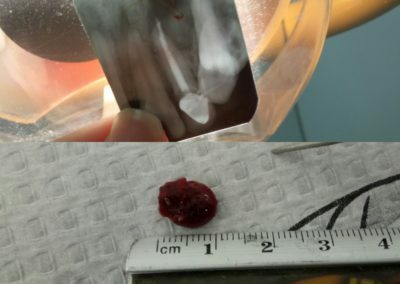 The recommendations after this type of extraction are the same as in the case of a normal extraction.